The Anatomy of Dressage - this seminar focuses on what parts of the horses anatomy become developed through correct dressage work and explains why we enlist the musculature in this way, addressing improved movement and increased longevity and soundness for the horse. Using a DVD made by Gerd Heuschman, I review the anatomy and show why we work horses the way we do in Dressage. I also talk about rider position and anatomy as a tool for helping the horse use themselves more correctly. Gait Enhancement - this seminar focuses on using dressage training to help restore and enhance a horses gaits. Various exercises and movements are used to help start bringing about the changes desired. Each horse will require a unique and specific approach and each ride is truly custom made to address the individual. Therapeutic Dressage - This seminar discusses anatomy and the various lameness issues that horses commonly suffer in Dressage. 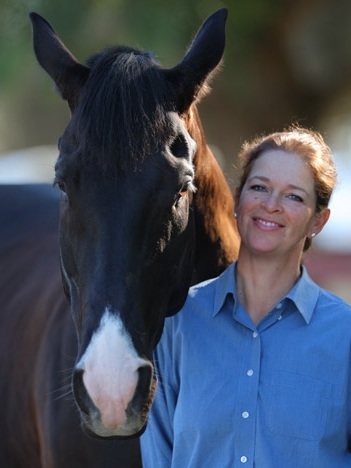 Each horse's issue is looked at from a veterinary, chiropractic and conformation standpoint. A program is then put together for rehabbing and returning the horse to work. Horses with acute and chronic conditions are invited. All horses will come with a history and, usually, a veterinary work-up. The goal is to put a program together for returning the horse to performance using specific exercises, interval training and other options such as anti-inflammatories, supplements and housing considerations. and then $1000 for the 2nd day. Please contact me with any questions you may have or if you would like to schedule a service.